Posted on January 16, 2011 by Mia G.
Oh yes. During our younger years, getting our parents to give us permission to leave for an out-of-town trip was a very grueling ordeal. But gladly, because I had 3 elder brothers, getting that permission became less tasking as they thought that I may willfully enjoy the perks that my brothers enjoyed. Mission accomplished. I was granted my first ever adventure as a minor without parental supervision. I took this very first own-of-town trip back in high school, with my beloved high school friends. I celebrated with Kai, a good friend, her 18th birthday. Thanks to my brother, I already had a camera back then to capture the momentous events that transpired for that trip. Sadly, all I was concerned with back then were the people in the photos and not much of the beautiful sceneries. 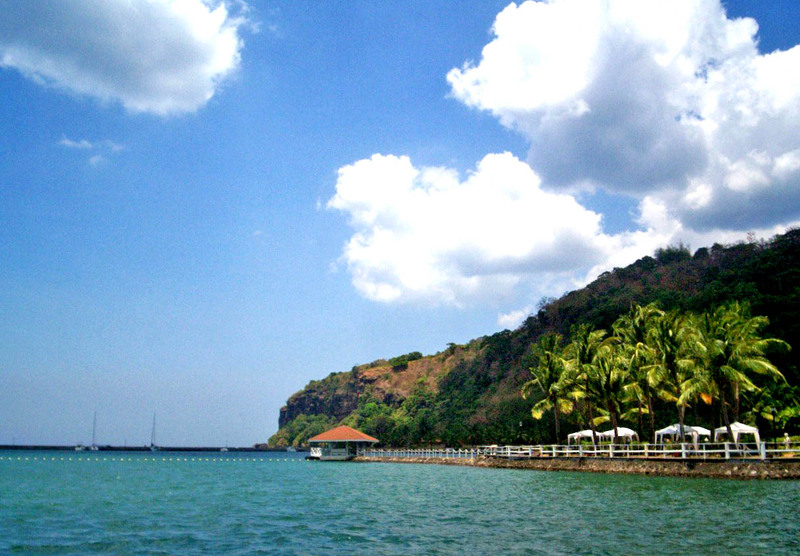 We visited Caylabne Bay Resort is located in Ternate, Cavite, two hours away from Manila. Back then, I found myself in deep appreciation of Caylabne (apart from the fact that I was happily biased because it was my first ever adventure without parents). It was very beautiful in my eyes despite the sand not being powdery white but grayish. It was a leisure resort particularly to service families and corporate groups going on an outing. While we were traveling as an all-girl company, we enjoyed the facilities as much as we could and took advantage of the tropical climate embracing our sunkissed fair skins.